Ancient stone invokes a sense of timelessness and elegance. Something about the process of being quarried and shaped intrigues me. Since I was a young girl, I have had a love for stone. I would pay more attention to the limestone, medallions or marble flooring at the local mall than the back-to-school clothes my parents took me there to purchase. My parents thought I was shy (Who-me?) because I was always looking at the ground. Well, it hasn’t changed and I love stone even more now. Truly the pictures I am pleased to share with you here easily define stone as art. Let me introduce you to Lapicida, a stone company in the UK and their blog. Lapicida is an official sponsor for Blog Tour London, the brainstorm of Modenus, a Designer’s resource. I will have the awesome opportunity to visit their new showroom on Kings Road in London later this month. I’m so excited to learn all about their company and products to share with you. Better than a rug, but since I really have a passion for rugs as well, I’ll say a lovely alternative to a rug or equally as beautiful as a rug! 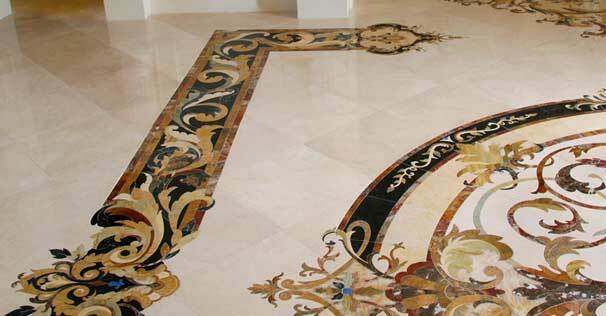 Advantages would be cleaning perhaps, but simply these designs can take your breath away! 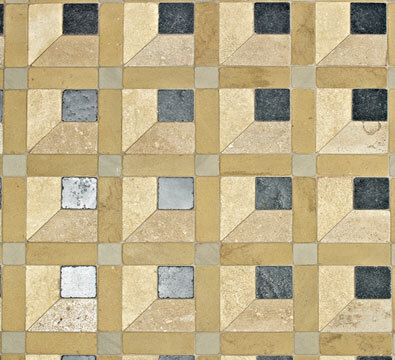 If the stone pattern shown above this image is not your style, perhaps you will find this more to your liking! 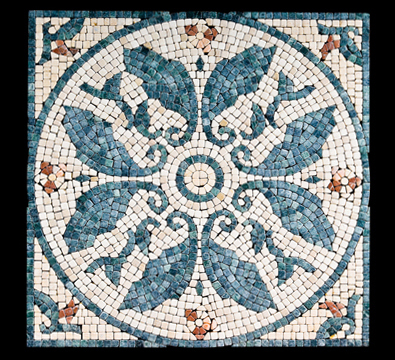 Untold how many variations have been designed at this point, but you can have something custom designed for your home. 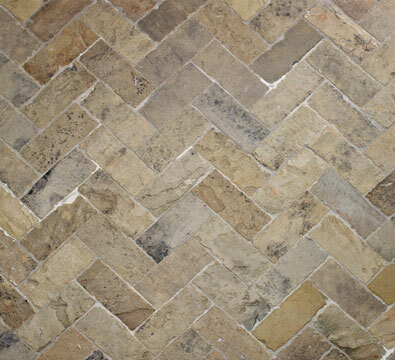 If a mosaic is not on your shopping list, how do you like this herringbone pattern? 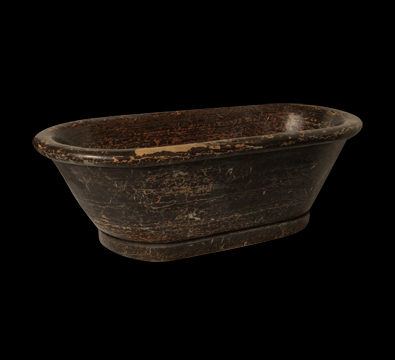 Lapicida even creates unique stone tubs and basins. This brown marble soaking tub would look spectacular in a master suite. Call me if you’re interested! I hope you’ve enjoyed a sampling of stone products. 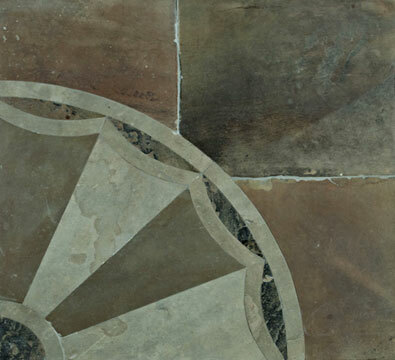 Stone can be a design element in any home or building! Thank you for stopping by Chatti Patti Talks Design! Check back soon to see what’s new and leave a comment or ask a question, feedback is appreciated! As you know, I love white in interiors. I like the cleanliness of the look of an all white interior but I realize it would be very difficult for many families to embrace this concept. 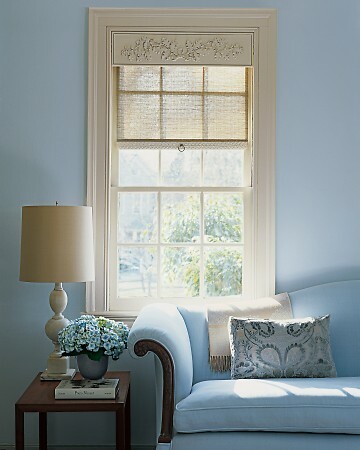 Perhaps a “Touch of the Blues” may inspire you. 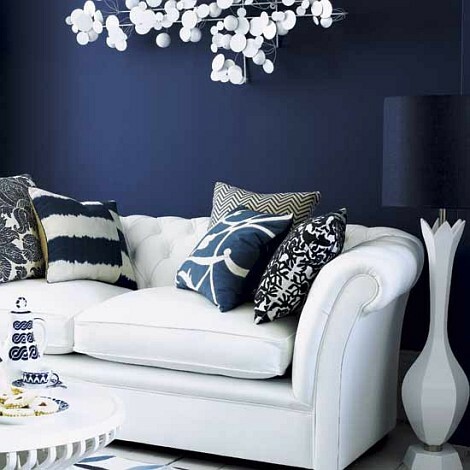 Deep blue tones in the interior design of this room create a dramatic impact. Who knew London was Blue? Photo of London in the evening via TravelCrew. Blue is gorgeous! But then again, it’s a color in nature! 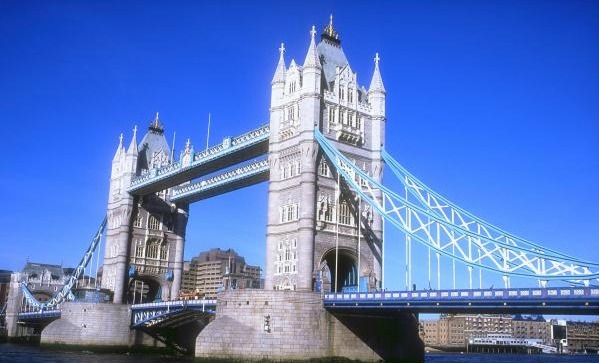 London Bridge with a Blue sky! I will taking live photos during BlogTour London next month as I travel as a member of an International Blog Team with Modenus to attend London Design Week Festivities. How fun! Thank you for stopping by Chatti Patti in Cincinnati Talks Design! Check back soon for new posts and updates about London! I love white. It calms me down, it makes things appear more soothing and makes spaces look larger. When I see things the color White, I also see light and I love light (as opposed to darkness). Who knows how these tastes evolve as we mature or as we are exposed to various mediums. All I know is that I love white! What’s not to love about all these pictures! Love the ingenuity here. Not a traditional Dining Room at all, but being created underneath the foyer chandelier is very clever! 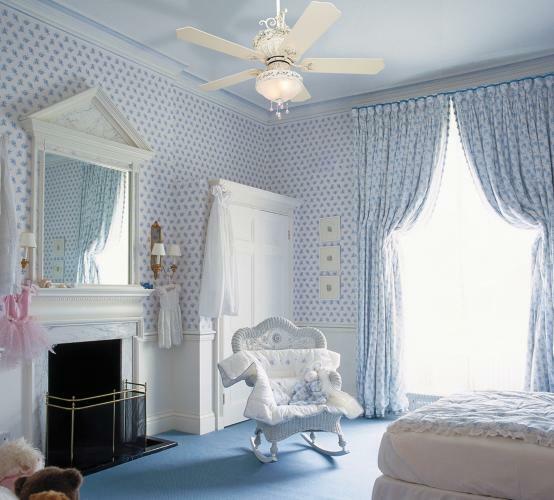 Via House Beautiful, Notice that the light plays a significant role in the overall “whiteness” of this space. 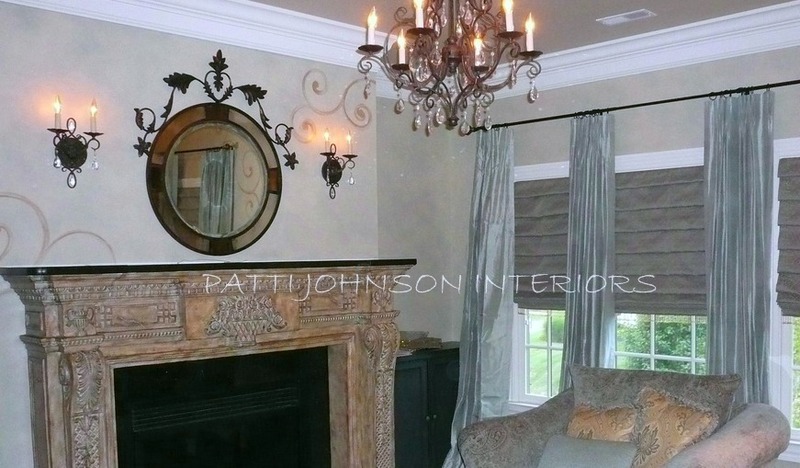 The luster of the ceiling with it’s laquered finish is incredible! 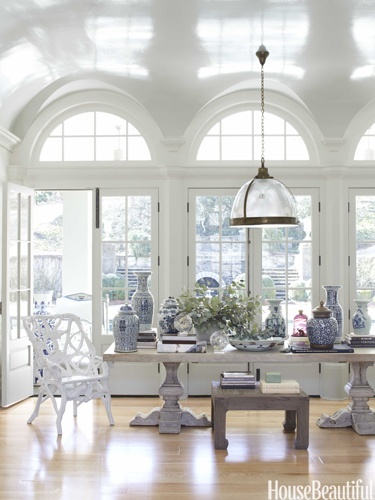 The overall white scheme of this Dining Room makes a bigger impact. Notice wall color as well as accessories all work together. The white here speaks of softness and cleanliness! All Images from Pinterest – credit given if supplied. “White is associated with light, goodness, innocence, purity, and virginity. It is considered to be the color of perfection. Thanks for stopping by Chatti Patti Talks Design today. I hope these images *brightened* your day! Stop back soon and see what’s new. Leave a comment if you like!